Mushroom Pulao is a delicious North Indian dish. 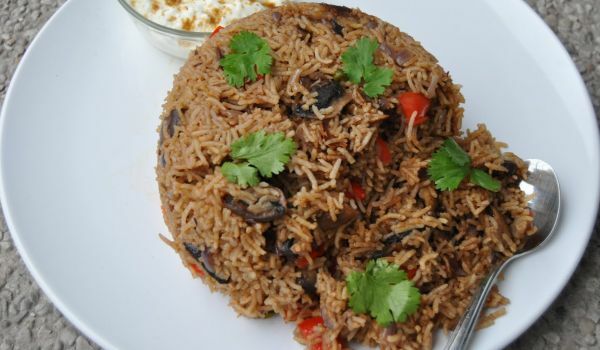 Learn how to make/prepare Mushroom Pulao by following this easy recipe. Heat oil and sauté onions and garlic till they turn light brown. Add chopped capsicum and tomato. Cook for 2 min. Add salt, pepper, turmeric and chili powder. Add boiled rice and mix well, but gently so as not to break rice. Unfortunately this is fried rice and not pulao.